Germ layer specific regulation of cell polarity and adhesion gives insight into the evolution of mesoderm. In bilaterian animals (from worms to humans) gastrulation is the process whereby the three germ layers are formed: the ectoderm, mesoderm and endoderm. However, for simpler dipoblastic animals such as cnidarians, only two germ layers are formed, the ectoderm and endomesoderm. Salinas-Saavedra et al. investigate the cellular mechanisms that may have evolved to generate distinct endoderm and mesoderm layers. This pre-print investigates the development of the sea anemone N. vectensis. Using this simple model organism and clever genetic manipulations, Salinas-Saavedra et al. were able to probe and decouple the more complex cell specification and morphogenetic events that are not as easily studied in higher organisms. Although N. vectensis normally do not undergo an epithelial-to-mesenchyme transition (EMT), overexpressing dominant negative Par3, CRISPR-Cas9 Par3 deletion, or ectopic Snail expression in the ectoderm all yielded mesenchymal cells. While this is not a normal physiological state, it demonstrates that Cnidarians have the capacity and cellular machinery to undergo gastrulation-like events similar to bilaterians. This bottom-up approach reconstituting EMT-like processes in a primitive organism invokes the Richard Feynman philosophy – “What I cannot create, I do not understand”, and is a step towards a deeper mechanistic understanding of the morphogenetic events in gastrulation. An intriguing question arising from this study is, what is the nature of the mesenchymal cells? Are the induced differences purely morphological or do these cells exhibit additional mesoderm-associated properties that could allow insights into the conservation of fundamental gastrulation regulators? What is the basic message that you would like readers to get from this paper? While the majority of studies in EvoDevo focus on transcription factors and the regulation of cell fate, comparative cell biology is also an important part of the equation for understating organismal complexity and body plan evolution. 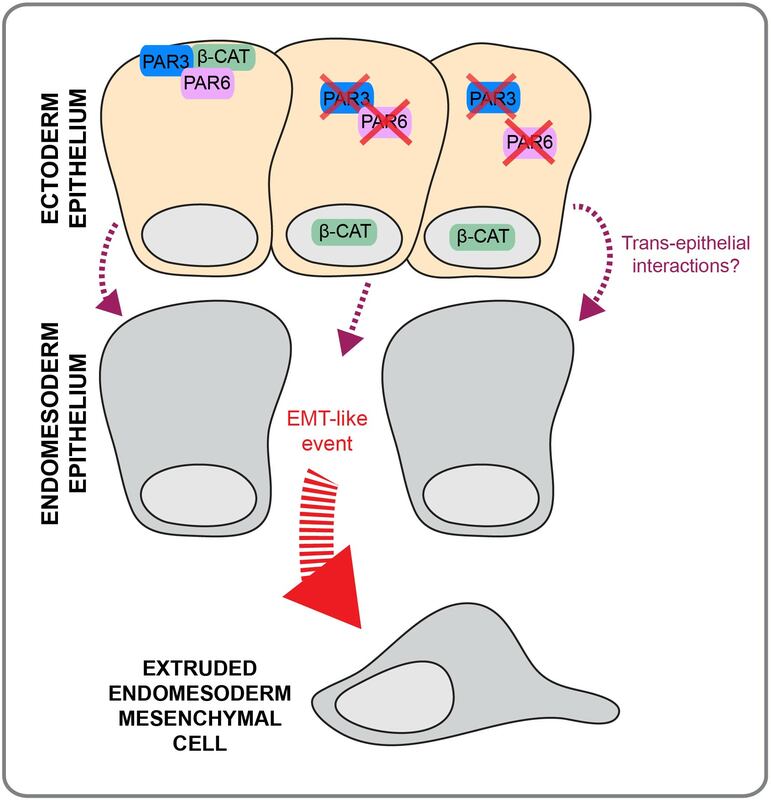 In this case, the nuclearization of ß-catenin is regulated by two different cell biological pathways (the aPKC/Par complex and cell-cell adhesion systems) and endomesodermal regulatory genes (e.g. snail), whose interactions in early branching metazoans have been understudied. What were the main challenges in this study? First, we had to generate species-specific reagents that we could both analyze the phenotypes (e.g. antibodies and mRNA constructs) and interfere with gene function (e.g. dominant negative, mRNAs, and CRISPR/Cas9 mutants) and second, be able to successfully interpret the biological meaning of phenotypes we were able to generate. Any insights into what the trans-epithelial interactions may be? Yes, the interaction of both layers may be related with extracellular matrix (ECM) interactions. It is known from cell-culture studies that the ECM also stabilizes the polarity and integrity of the overlying epithelial tissue. Some “mesodermal” component of the endomesoderm in N. vectensis (e.g. downstream of snail expression) modifies the interactions between these two layers that leads to EMT. Do you think these could also be at play in triploblastic organisms? Of course. Cnidarians, like N. vectensis are known to possess virtually the entire bilaterian “toolkit” and so it would appear that the existence of a definitive middle layer “buffers” the direct interactions between ectoderm and endodermal epithelial. It should also be remembered that mesoderm (e.g. 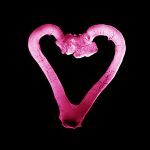 coelomic mesoderm) can also arise by other mechanisms (e.g. epithelial folding) in bilaterians, so our data speaks more to epithelial interactions that lead to changes in cell behavior (EMT). Do you think partial EMT of the endomesoderm and its importance for migration may be conserved in the endoderm of bilaterians? Probably not for the endoderm. In bilaterians, the endoderm is polarized by Par proteins and adherens junctions, and during partial-EMT these protein complexes are degraded. 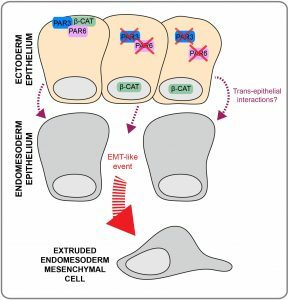 We think that partial-EMT is a conserved mechanism to segregate new tissues from an epithelium, for example, during early stages of mesoderm, neural crest cell formation, and tumorigenesis; processes that present collective cell-migration. Why are Cnidaria such a powerful model organism for studying gastrulation? Cnidaria is the sister-group to all other bilaterian/triploblastic animals, and as their closest outgroup are the best taxon to learn about evolutionary changes that occurred during bilaterian evolution. Cnidarians are also interesting because they have a wide variety of developmental mechanisms, in fact, all forms of gastrulation seen in metazoans are found with in some cnidarian species or another. Due to the unexpected genomic complexity of cnidarians, this provides a rich opportunity to understand the molecular control of distinct cell behaviors and tissue interactions!